Jerry McDougal, Vice President of Retail Apple and the man considered a possible candidate for the position of Senior Vice President of Retail, has resigned. Apple confirmed the news to AllThingsD. Jim Bean, former Vice President of Finance, will replace McDougal. AllThingD suggests that Bean is "exactly the kind of insight that lends itself to operational position '. The year that Tim Cook is nominated by Time magazine as Person of the Year, the internal problems facing the company. "Retail has a very strong network of leaders in the store and regional level, continue the excellent work they have done in the past decade to revolutionize retail with unique and innovative services and customer focus is insurmountable, "said Apple spokesman Steve Dowling. "Jim Bean moves to retailers to help keep our equipment store. 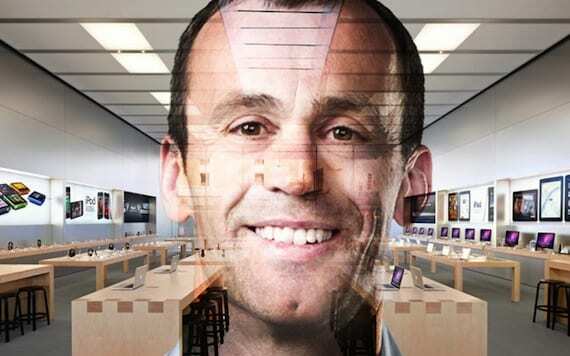 Jim has been at Apple for 15 years and is a great leader who understands our culture and focus on customer service. " Apple has not yet replaced John Browett former Senior Vice President of Retail who was fired after a short time in office. It is unclear whether the output is related to McDougal vacancy. All we are saying now is that McDougal wanted to spend more time with his family. Article Jerry McDougal, Vice President of Retail Apple, resigns was originally published in News iPhone .